Even without external time constraints, QueBIT realizes that undertaking a full review of your Cognos BI environment can seem daunting, so being proactive will provide more opportunity to approach and implement your upgrade with a thoughtful plan and timeline. But don’t go it alone! QueBIT is here to assist with all health check and migration needs you may have with our upgrade services promo being offered through March 31st. Cognos Analytics has been improved and refined since its general availability (GA) release making it more than just a mere name change. Cognos Analytics provides a clear indication of where IBM will be taking the product in future releases and why you should upgrade now. Below is a review of the compelling new core features and functionality. The most visible reason to upgrade to Cognos Analytics is the new mobile-app like interface that is user-focused that marries well with today’s BI focus on self-service analytics. The interface includes context-sensitive menus, smart search capabilities, true customization, and navigation that is intuitive. Even with all these interface changes Cognos Analytics did not forget its roots and still delivers the strong traditional BI capability for which it is well known by preserving the legacy functionality. The interface is by far the most noticeable improvement to Cognos Analytics with many improvements that speak to IBM’s effort to improve the experience for analytics developers and their consumers via a more interactive experience for both. Namely, developers can quickly, efficiently, and repeatedly deliver high impact intelligence via Dashboards and Reporter. This interactive experience allows for an efficient use of visual space for the user, through minimizing icons and menus and contextually presenting features and functionality making the new interface more productive. Another improvement that aids in the efficient development and data discovery is the new template-based starting points for reports and dashboards. These templates are all designed using best practices for optimal presentation. These templates provide a starting point for deeper analysis of the data and the usage of the modern RAVE2 based visualizations and enhanced chart types for evaluating data. Beyond the improvements to the dashboarding and reporting interfaces was the introduction of a true web-based modeling tool in Cognos Analytics called Data Modules. Data Modules are not a replacement for Framework Manager, at least not yet, but they do allow for the rapid prototyping of a new data models or the quick extension of an existing one using files uploaded to Cognos Analytics or from a data source. Data modules are intended for users having limited knowledge of modeling techniques and data sources but can be used by expert modelers just the same. 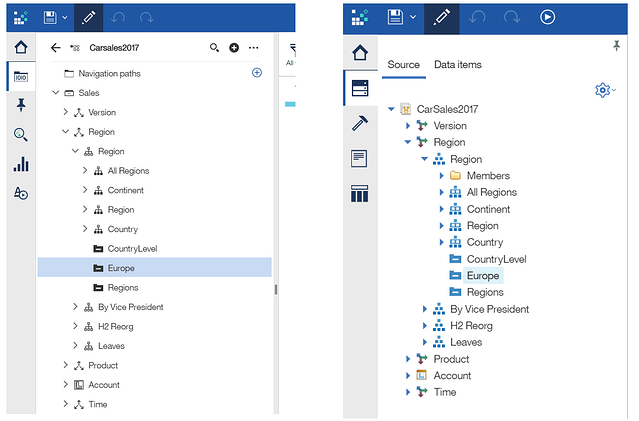 With the most recent release of Cognos Analytics, version 11.0.9, the integration with Planning Analytics became even tighter. This tight integration means things like Planning Analytics subsets can be accessed via Cognos Analytics. 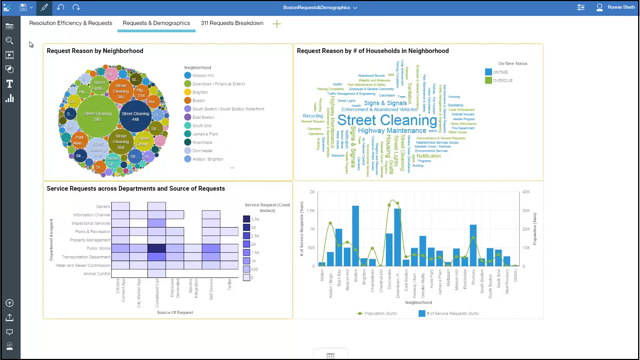 Moreover, Cognos Analytics dashboards now fully support OLAP data sources to allow developers the full gamut of capabilities to create the analytics tools Finance wants without limitations or compromise. 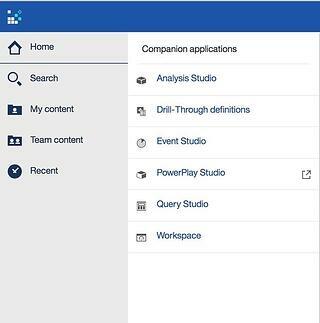 While there have been several new capabilities added to Cognos Analytics, the legacy tools like Event Studio and Analysis Studio are still there. 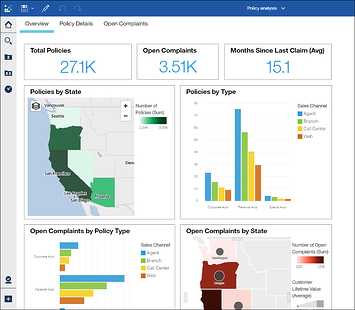 It’s worth noting, the new capabilities of Cognos Analytics can be secured in the same way capabilities are secured within Cognos BI. The reasons to upgrade to Cognos Analytics are many, but deciding when and how to upgrade an existing Cognos environment can be challenging. Don’t let the benefit of time pass you by, act today. Let our experienced QueBIT team help you take your business intelligence to the next level with Cognos Analytics 11. Tic toc! Find out more about QueBIT’s Cognos Analytics upgrade services and contact us today!